This charger comes with two rechargeable batteries. 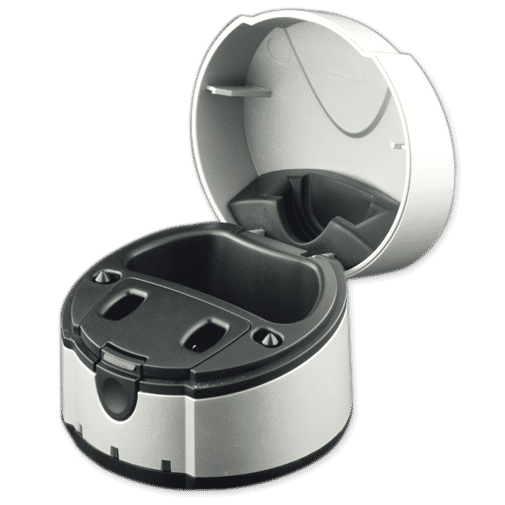 All Motion BTEs are rechargeable, a perfect solution for wearers who don’t want the hassle of constantly changing batteries. Simply place both instruments in the stylish, easy-to-use charger. After just five hours, your instruments are ready to go all day and through the evening. For maximum flexibility (and for backup), Motion instruments also work with standard size 13 (orange) zinc-air batteries.